Once again, Georgie is in dire straights and in need of money to support herself. She’d been doing well enough living with her mother, but then her mother realizes she can’t ever actually publish those memoirs she’s been toying with writing, so she jets off and leaves Georgie with zero options. But Georgie always has those two options, marry a prince of some ancient european dynasty, or become lady-in-waiting to a dreadfully dull old dowager Duchess or such. But in the dead of winter, how terrible can it be to be a lady-in-waiting? 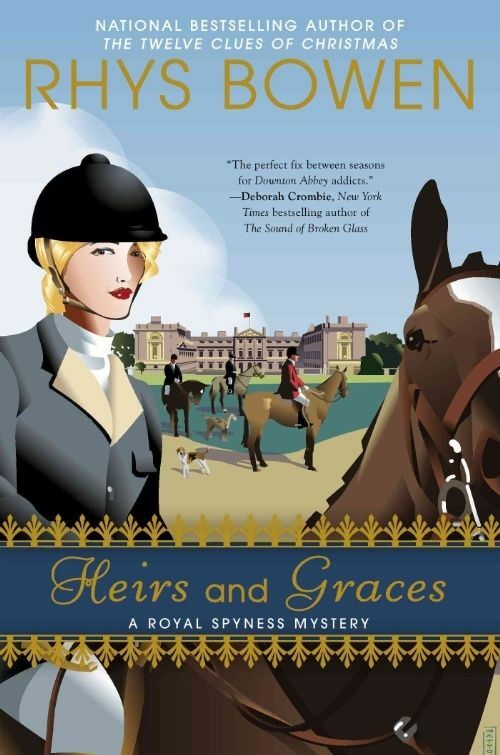 It turns out that being companion to an older royal can be fun, but this novel seems to lose track of the nice things and not even Darcy showing up, as usual, could save this. It was possibly the least fun I’ve had with a Royal Spyness mystery since I set up shop in it’s camp. True, people who want their heroines to solve the mystery without the help of a dashing young Irish peer would be delighted to see that Georgie actually does most of the legwork in this one, despite Darcy being in this story for far more of the time than I had been expecting. Now that I mention it, why was Darcy so dull in this one? There were the usual swoon-worthy moments (though most of that is owed, I suspect, to Katherine Kellgren’s supurb work as audiobook narrator) but he seemed as flat as the myriad of characters with whom this book was flush. Even the characters whom we were focused on, namely the Heir, the australian boy who had no idea who his father really was, was little more than a kindly caricature of a naïve farm boy. There were some tender moments, and I’d be remiss to say Rhys Bowen doesn’t show the foibles and follies of all the people she writes, but there was something really off with this story, and I’m sure more eloquent reviewers have already pointed it out. The murder also doesn’t occur until fairly late, and because I was afraid the murderer would be someone who had until then only shown us one side of them, I avoided looking at other suspects and was pretty blind-sided. As I said, if I hadn’t been listening to the audiobook, I don’t know how I would have made it through. Here’s hoping the next book is an improvement.